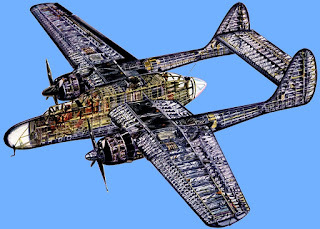 Northrop P-61 Black Widow Cutaway Drawing. There are two cutaway drawings we collected. 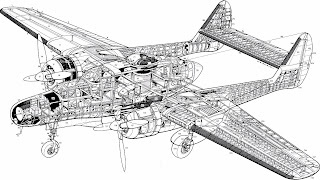 Please enjoy the essence of aircraft structure and design. First one is black and white version. While below is colorful cutaway drawing.